Warning – what follows is a quirky quarterlife issue that has absolutely nothing to do with medicine. If you are only here for the info and updates about med school, feel free to skip this one. Those of you who have seen my updated Facebook profile (or read the previous entry) may be quite alarmed. What happened to your hair?! No, I didn’t cut it. What happened to the magic of the flatiron??? Well, the flatiron, magical though it may be, isn’t going to cut it in the heat and humidity of Dominica. So, what was once a lovely, long, luxurious mane has shrunk into a coily, curly coif that is a cross between Sister, Sister and Sideshow Bob. Ladies and lads, I have gone natural. 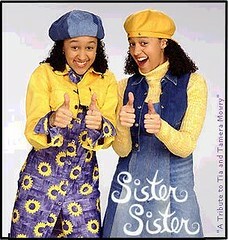 Actually, I’ve been natural for quite some time. “Going natural” refers to the eschewing of chemical processes and embracing of the natural texture (and/or color) of one’s hair. I haven’t had a relaxer in nearly 8 years. 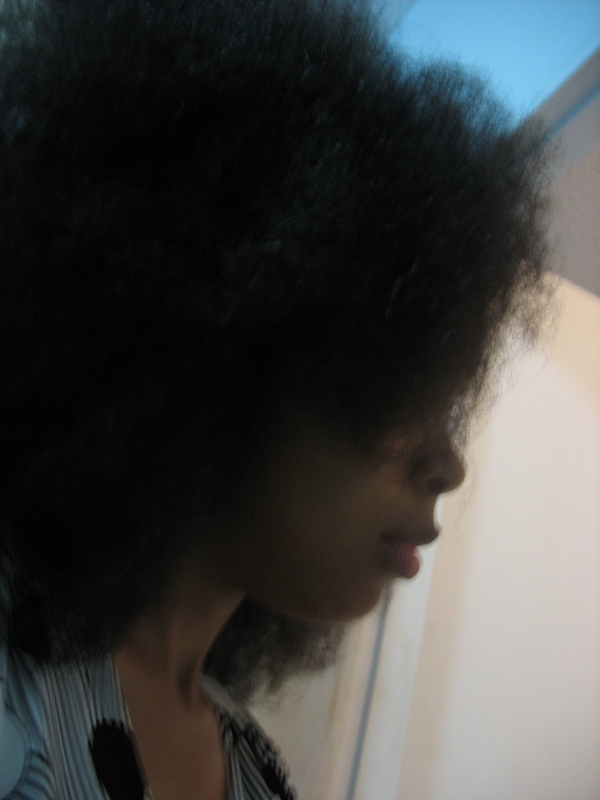 However, I did tame my very curly texture by heat processing – blow-drying after washing and conditioning and then, further straightening with a pressing comb or flatiron. This entire process usually took between 2 and 3 hours and lasted from 2 to 3 weeks. Although the best results came when my salon stylist performed this procedure, years of living in areas without “ethnic” hair care specialists (Hyogo, Japan; Amherst, MA) forced me to learn how to do it myself. I would have happily continued to do it if not for one thing – the difference in electricity on Dominica. In the US, our electricity is delivered via alternating current at 110 – 120 volts, 60 cycles per minute. On Dominica, it’s 50 cycles per minute and 220 volts – enough to blow up foreign electrical devices. So much for my plans to press every two weeks. In addition, the climate here is very warm – warm enough that a 15 minute walk to campus will leave you dripping with sweat – and sweat is the enemy of pressed hair. My one girly-girl indulgence is hair products. While I couldn’t care less about diamonds, expensive shoes, fancy pocketbooks or any of the other things cool quarters seem to covet, I will spend hundreds of dollars on hair products in a year. I’m pretty discriminating when it comes to hair products and I’ve managed to come across some really great ones that worked wonders for me when I was a press-and-curl girl. I’ve been able to use some with my new style as well but I’m always on the lookout for something more natural and more moisturizing. 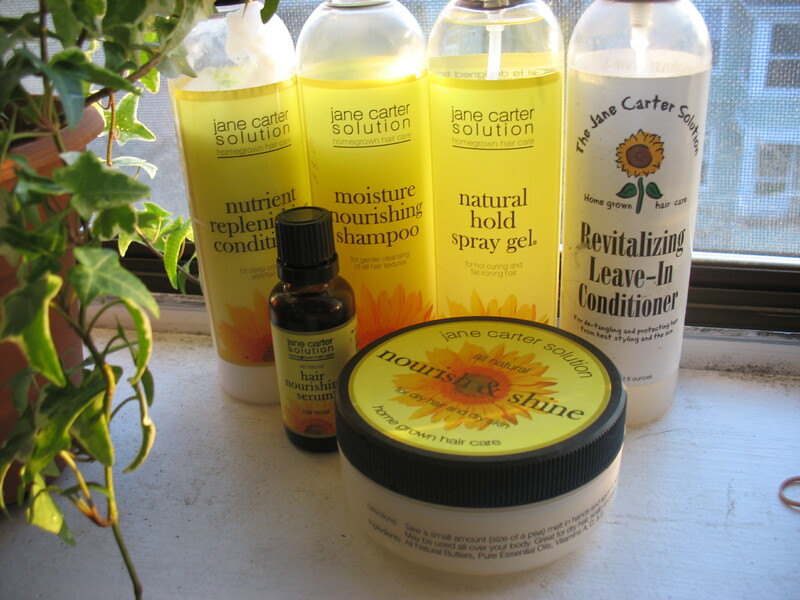 My stylist introduced me to Jane Carter products and they worked wonders on my hair. The best product is Nourish & Shine, a wonderful all-natural hair butter (can also be used sparingly as a body butter) with a tangy citrus scent. It’s great on all hair types but especially nice for people who press their hair. I gave it to my female cousins as a Christmas present last year. Everyone I know who’s tried it adores it. Another plus – the online store ships internationally. I discovered Hamadi Beauty after reading a feature over at Clutch Magazine. This line uses organic ingredients and is not tested on animals. Most of the products use shea butter, an amazing moisturizer for hair and skin. I’ve tried the Shea Hair Cream, Shea Pomade (a bit like Nourish & Shine but not as buttery), and the samples of Shea Leave-In they sent but my favorite product by far is the Shea Hair Mask, a deep conditioning treatment that made my hair feel absolutely amazing – soft, silky and strong. 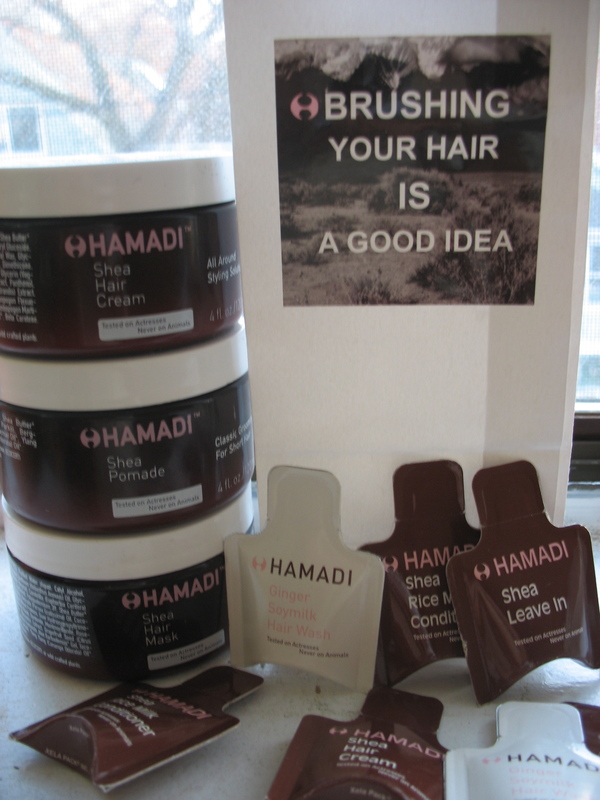 If you order from the Hamadi online store, they send oodles of free samples so you can try other products as well. After reading about Qhemet Biologics at Clutch and on the Nappturality forums, I decided to give it a try. Qhemet products are handmade from natural ingredients (like honey and olive oil) used in ancient hair care rituals. 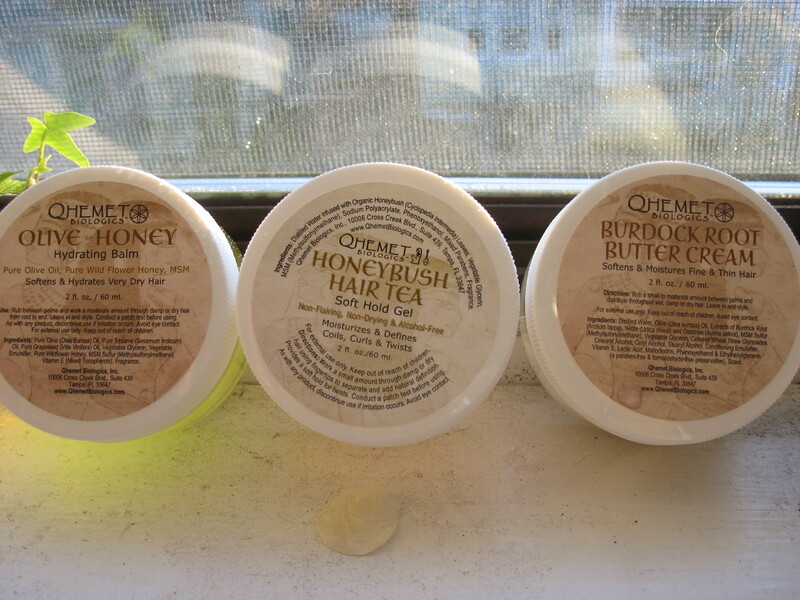 Of the three products I tried, the Burdock Root Butter Cream and Olive & Honey Hydrating Balm were my favorites. The Olive and Honey Hydrating Balm was the most surprising – when I opened the jar, I wasn’t expecting it to have a consistency like that of honey! However, it’s not sticky at all…rub a bit between your palms, run your hands through your hair and you’re good to go. All the lines I’ve mentioned offer trial sizes which are an inexpensive way to “audition” a product to see if it works for you. A caveat – if you wear your hair pressed (and want to keep it that way), Shea Hair Cream is not the product for you. I’d recommend Shea Pomade or, better yet, Nourish & Shine. This entry was posted on May 20, 2008 at 12:01 am and is filed under appearance, randomness, romance. You can subscribe via RSS 2.0 feed to this post's comments.